Spiritual Tours, Sacred Places, Connect with the Ancestors & Earth Energies. An authentic view of hidden Ireland and Scotland. BALANCE – paid in full by six weeks prior to the tour. Thin Places Mystical Tours former guests receive a discount of $50 for every prior tour they’ve been on. REFUNDS – All deposits are fully refundable up until the 90 days before the start of the tour. Deposits are transferable, that is you can transfer your deposit to another person. Reservations cancelled within the 90 day prior window forfeit the deposit. Balance of the tour cost must be paid sixty days prior to the tour’s start date. Reservations cancelled within the 60-day window will not be refunded. PAYMENT – Payment can be made by check or bank draft. Make checks payable to Thin Places Mystical Tours and send (along with registration form) to 5775 Charles Cannon Road, Marion Station, MD 21838. Visa and Mastercard are also accepted as are online payments through paypal but there is a 3% charge for credit card and online payments. Overnight accommodation (double room) in 3 – 4 star hotels in city or town centers. Admissions to all attractions listed on the tour itinerary. Land transportation in a private motor coach to each day (except free day). Airport transfers on the start and end days of the tour. Personal, full-time tour guide and full-time driver for the duration of the tour. Welcome and farewell dinners- 1st and last night, plus additional dinners (for 10-15 day tours) as noted for each tour. Porterage – we carry our own bags, always. Alumni Discount of $50 for every previous Thin Places tour you’ve attended. carry your own luggage several blocks, and up several flights of stairs. be on your feet for 3 to 5 hours over the course of the day. ride comfortably in motor coach for several hours at a stretch. WE LOVE THE RAIN – The weather in Ireland is unpredictable and rain is likely. Guests should pack light rain jacket with hood or hat, rain shoes and an umbrella. In May and in September the temperatures can vary, so bring clothes so you can dress in layers. Ireland is just as beautiful in the rain as in the sun, and it rarely rains all day long. The puffy clouds add intriguing light elements to photographs. And rain brings you close to the elemental nature of the landscape. But not being prepared for wet weather can lessen the comfort and enjoyment of that day’s adventures. If you bring layered clothing, waterproof shoes, a waterproof jacket and hat – you will enjoy the tour in all weather conditions. It WILL rain in Ireland while you’re there. There is no such thing as bad weather … only inappropriate clothing. Check out the HOME page and identify your tour. Read the specifics of the tour and download the registration form and submit it by mail with your payment. 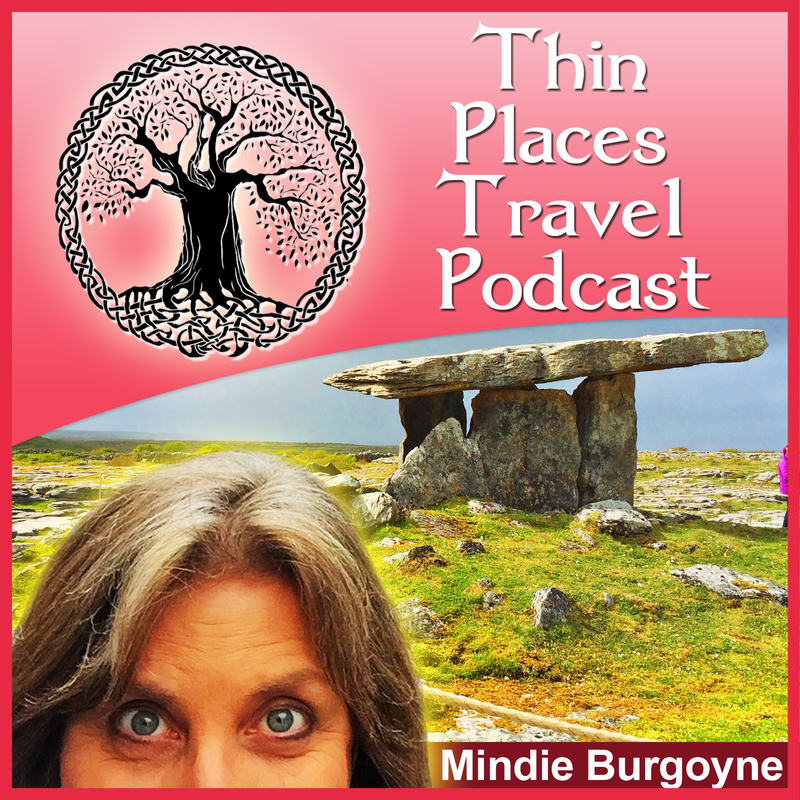 Thin Places Tours is a Maryland based travel company that offers guided group tours to mystical sites in Ireland and other Celtic countries. The company also offers private itineraries and arrangements for those who prefer individual travel and can organize group tours with group rates.